Sandy Felton talks to Jeff Stephenson of landscape company Bowles & Wyer and discovers what it’s like to be responsible for more than 70 gardens in and around London and the South East. Being responsible for the maintenance of over 70 projects ranging from private roof terraces to large country gardens and public squares, is all in a day’s work for Jeff Stephenson, Head of Horticulture & Aftercare at landscape company Bowles & Wyer. 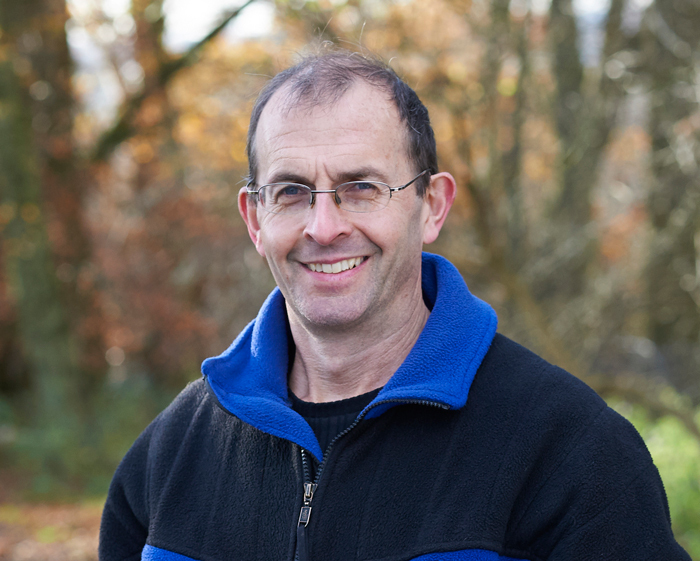 Jeff has been at Bowles & Wyer for 22 years (11 years as department head) and with over 29 years experience in the profession, has gained a wide expertise in soft landscaping, gardening and aftercare. He has just been awarded the Principal Award in the Grounds Maintenance category at the BALI Awards (British Association of Landscape Industries). Not only did he scoop a Prinicpal Award but his team were also responsible for five other projects that won awards (two of them Principal) including two roof terraces designed by award-winning designer Tom Stuart-Smith and a scheme to improve the public spaces around St Peter’s College, Oxford. Jeff (pictured above) explains that the projects in his care may be private residential, semi-public space, or commercial, including garden squares, courtyards, green walls, window box schemes, roof terraces, or large country gardens. The company is also involved in small specialist installations and soft landscaping of new design and build schemes, so the work is clearly very varied: “My day to day job is incredibly varied, ranging from scheduling my team’s activities and giving planting and maintenance advice, to both my staff and clients; to ordering plants and seasonal bedding for clients,” explains Jeff. “I also have to price new work, meet sub-contractors and, of course, work on site alongside my team,” he adds. He has always had an interest in natural history, science and being outdoors so working in horticulture was a natural manifestation of that interest: “I can remember being particularly enthused by the theme gardens at Compton Acres in Poole, Dorset, on a family holiday around the age of six,” he says. 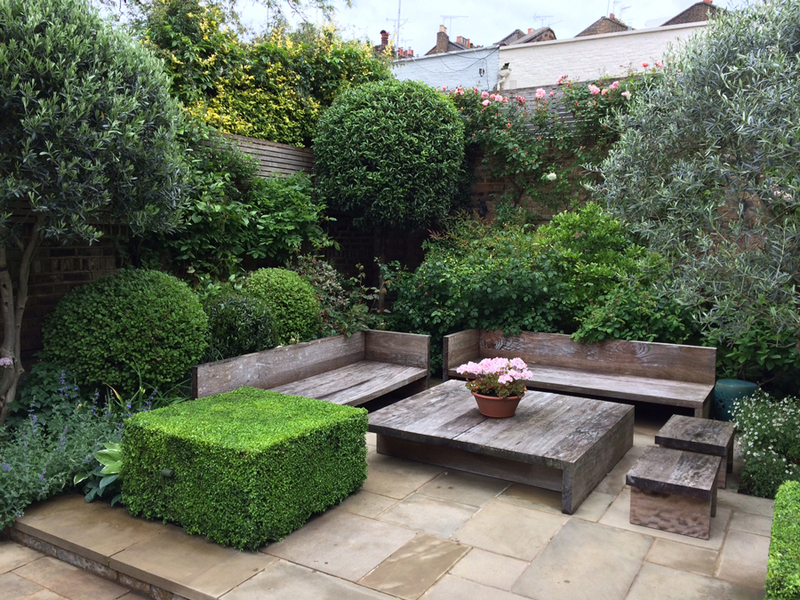 “This inspired me to completely reshape our own garden around the age of seven and eight. I created ponds for ornamental fish and wildlife (including frogs, toads and newts, who bred prolifically) while introducing a range of oriental plants,” he recalls. Originally, he decided on a career in geology but while at college he chanced upon an advert in a local paper for a full-time course in gardening at Capel Manor College, Enfield: “I considered that a year out of mainstream education pre-university would be fun,” he says. He studied Horticulture and Countryside Management at the College before being advised by Ian Leese, who was Head of Horticulture at the time, to consider applying for the Kew Diploma Course as a sixth form entrant. Jeff’s career path was now set. He graduated from the Kew Diploma in Horticulture at Royal Botanic Gardens Kew (RBG) in 1993, with Honours and winning the Best Overall Performance award. With such a varied job role I wondered if there were any particular types of project he enjoyed more than others: “I really enjoy working with private clients,” he says. 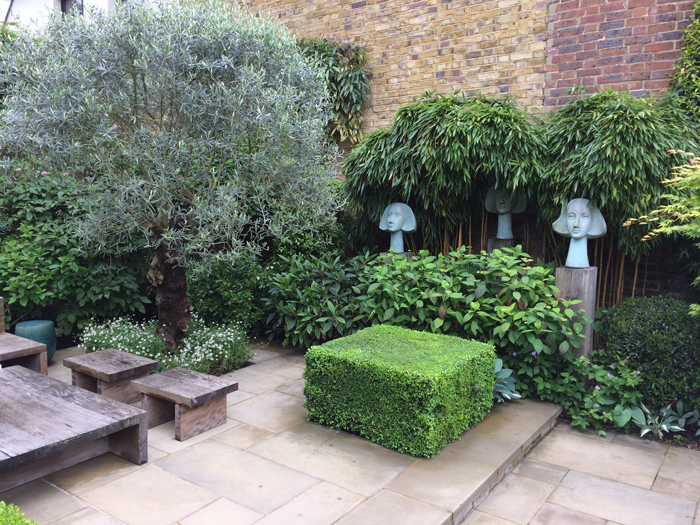 This particularly applies if the client has a strong interest in their garden but are happy to be advised and allow him space to run with ideas. He also loves the challenge of working on older gardens which have a range of mature plants but have maybe been untended for some time and allowed to naturalise: “I can be particularly creative with pruning, dividing herbaceous and replanting borders to create bold swathes, while adding new elements which will complement the existing garden and create a new framework,” he points out. He admits that there are several projects that have given him a lot of satisfaction in the past but one which particularly springs to mind is being sent to Salcombe in Devon to plan and plant a coastal garden. For him, selecting appropriate specimens was extremely enjoyable. When he’s not providing a taxi service for his teenage daughters, he enjoys cross country running, kayaking, keeping fit and reading and of course gardening at home. He also enjoys visiting gardens and museums. It is perhaps no surprise, given his active occupation, that he has engaged in numerous action sports over the years and still indulges in them if given the opportunity. Jeff is obviously delighted with his BALI award: “Being recognised within the industry was incredibly gratifying,” he says. “We strive to give the best possible care to keep every garden looking its best all year round and to be recognised by BALI is testament to the hard work that goes into everything we do.” The Grounds Maintenance Award was for a private garden in West London that the Horticulture & Aftercare team have been looking after for over seven years: “We’ve carefully nurtured plants as they have matured allowing the garden to be realised exactly as it was intended,” he points out. Clearly, for Jeff and the team the work is always engaging and with such a diversity of sites and variety of skills needed, one suspects there is never a dull day. During the week he may be redesigning the planting for a garden which has become senescent in west London or he may be carrying out formative pruning on an old Wisteria in a country garden set on the Thames in Berkshire. He might also find himself looking at an enquiry on a new development in Belgravia and then planning and delivering horticultural training to his staff. All this makes me rather breathless and I am ashamed to say that before interviewing Jeff I had very little knowledge as to what exactly landscape companies such as Bowles & Wyer did- now I know and I’m impressed! For Jeff, his many years of service with the company are testament to their attractiveness as an employer: “We have always been quality focused and that drives everything else in a professional but friendly way. The company has a distinctive ‘family’ feel about it. John Wyer has boundless enthusiasm and energy which is a major leading force,” he says. The British Association of Landscape Industries is established to promote, support and inspire all professional landscapers, garden designers and landscape suppliers to be leaders of an environmentally, ethically and commercially sustainable landscape industry. It’s the leading Trade Association for the nation’s landscape professionals who have a variety of specialist skills. Bowles & Wyer, founded by John Wyer and Chris Bowles in 1993, and now run by John Wyer, look after gardens that have been designed by the in-house team at the company as well as those of some of the UK’s leading garden designers including Andy Sturgeon, Christopher Bradley-Hole, Arabella Lennox-Boyd, Thomas Hoblyn and Jinny Blom. They are based near Tring on the Hertfordshire/Buckinghamshire border and have become one of the UK’s leading landscape and garden designers and contractors working throughout London, Central England and the South East. Thanks to Jeff for his time and congratulations on the award, clearly well deserved.